DON'T JUST "LIKE" US - JOIN US! Unfortunately we're not able to reach navy.mil at the moment. 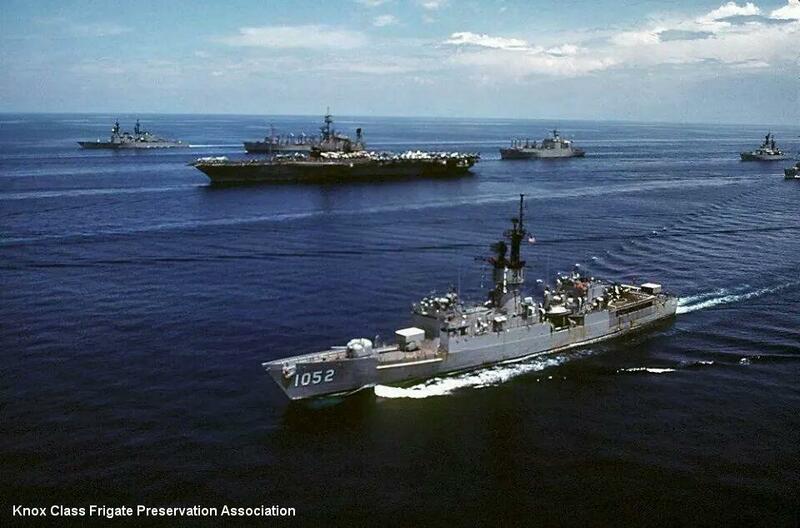 Welcome to the Knox Class Frigate Preservation Association. Our mission is to be the authoritative source for historical data on the US Navy's workhorse destroyer escorts of the Cold War, fostering a sense of community among American and overseas crewmembers and working diligently to establish the only stateside floating museum to represent the class. KCFPA welcomes all interested parties, regardless of nationality or class of service, to join us in our quest to bring a Knox ship home - the more, the merrier. Thank you for visiting. Take a look around, join us if you're interested. There's no charge to be a KCFPA member, though donations are always welcome.